Price: £635 per person for 4 days (3 nights) in a high standard B&B with daily ‘Tour & Trek’ outings Price includes B&B accommodation, transport, pickup from and return to Glasgow, with daily ‘Trip & Trek’ in coastal and hill settings, and a day’s ferry trip out to the Small Isles. Morar is an area of truly outstanding beauty that’s far from the tourist crowds. It’s sandy beaches, backed by steep hills, riven with Highland glens, abounding with lochs, makes for spectacular hiking in some of Scotland’s most stunning scenery. Price: £635 per person for 4 days (3 nights) based on 2 people sharing in a good standard B&B, subject to availability, with daily ‘Tour & Trek’ outings (£705 single occupancy of a room for the package). 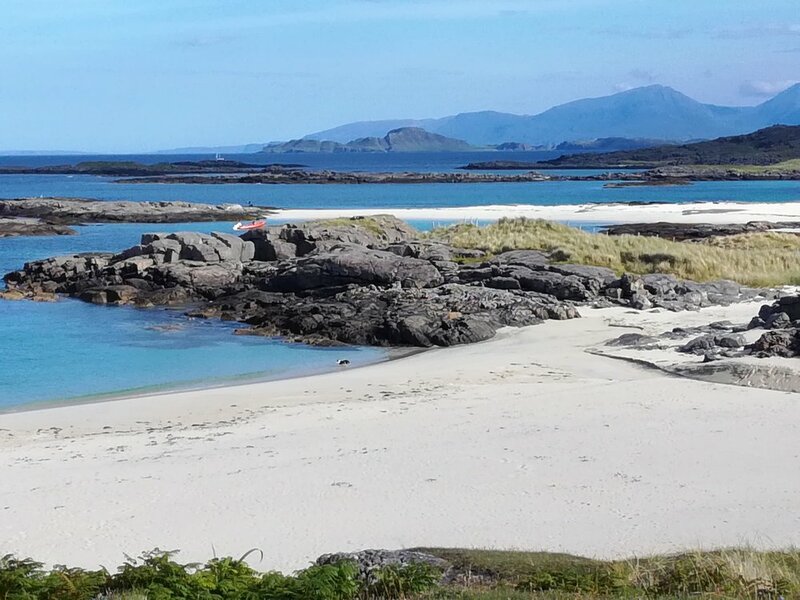 Price includes B&B accommodation, transport, pickup from and return to Glasgow, with daily ‘Tour & Trek’ in coastal and hill settings, and a day’s ferry trip out to the Small Isles. Costs include a fully qualified mountain leader to guide and daily outings in the minibus (including taxi service to local inns and restaurants in the evenings). Excursions include discovering a hidden gem of a castle, a whole day voyaging around some of the Small Isles (Rum, Eigg, Canna and Muck) including a landfall and a good hike; and enjoying the beauty and tranquility of the neighbouring regions of Moidart and Ardnamurchan by road and on foot. 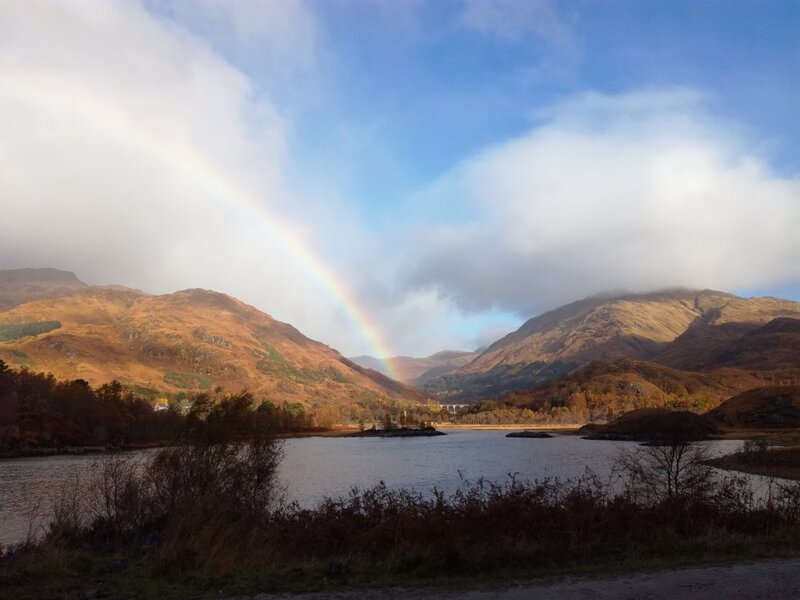 Walks in the Fort William, Ben Nevis and Glen Coe regions will be included during the outward and return travel.